From contracting with NASA to drilling through Texas soil, Omar Hashem, a 47-year resident of the Houston-Galveston area, has skyrocketed his career paths in two directions. When the NASA Space Shuttle Program ended in 2011, Hashem and several thousand others in the Houston area were out of jobs and looking for work. Hashem picked up soil sampling as a way to earn money while looking for a permanent career. The opportunity eventually launched him into developing a successful geotechnical and environmental drilling business: Geo Enviro Drill LLC. 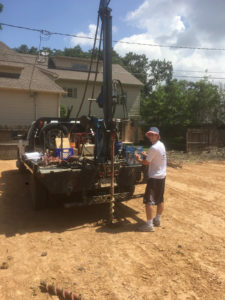 Lone Star Drill’s truck-mounted LST1G+ is ideal for soil sampling, geotechnical and environmental testing and drilling in areas inaccessible by large rigs. 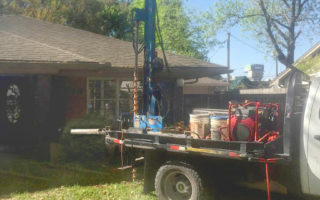 Geo Enviro Drill LLC relies on the one piece of equipment for their work in the Houston area. “After 17 years with NASA Contractors — where I worked on several cargo stowage integration space shuttle missions and on transferring cargo from the space shuttle to the International Space Station — I was looking to reinvent myself, and at that point I wasn’t sure what exactly I wanted to do,” Hashem said. He started working for a soil sampling company in 2011, operating a variety of drills to conduct geotechnical and environmental drilling services for the next five years. In that process, he gained insightful drilling experience and learned the ins and outs of the equipment, including what features made for easy operation. He also discovered what components made each drill reliable and easy to service. In 2016, Hashem ventured out on his own, starting Geo Enviro Drill LLC. 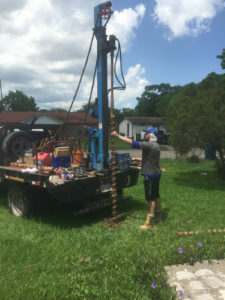 The Houston- and Galveston-based company offers both geotechnical and environmental drilling services for the southeastern region of Texas. Hashem and his team, which includes four operators who work on a rotational basis, spend a majority of their time pulling soil samples for new construction projects, including house pads, office buildings, subdivisions, shopping areas and roadways in southeastern Texas. Civil engineers rely on the samples for content, composition of sand and clay mixtures as well as other characteristics, such as soil density for building and design purposes. Geo Enviro Drill also offers environmental soil sampling for contaminants, providing samples to environmental service companies that work directly with the U.S. Environmental Protection Agency or similar organizations. Hashem performs all of those services with just one piece of equipment: the truck-mounted LST1G+ drill rig from Lone Star Drills. The company, owned by Little Beaver, an earth drill and auger manufacturer, offers a variety of hydraulic drills for soil sampling, geotechnical testing and auger drilling. For Hashem, it was a no brainer when choosing which drill to purchase to start his business. Hashem’s truck-mounted drill is ideal for soil sampling, geotechnical and environmental testing and drilling in areas inaccessible by large rigs. Its powerful 3,000-psi hydraulic system bores through sand, clay and loose rock formations to depths of 100 feet — accomplishing everything Hashem needs to get his jobs done right. 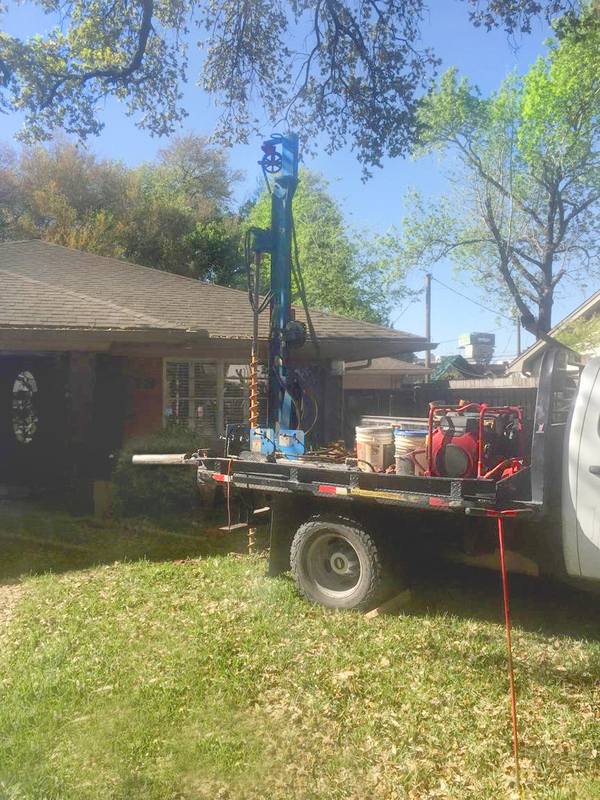 Lone Star Drill’s truck-mounted LST1G+ allows Geo Enviro Drill owner Omar Hashem to arrive on the jobsite and have the drill ready to go within 10 minutes or less. Since Houston and the surrounding area is home to more than 4 million people, the traffic and congestion make navigating through the area challenging. Hashem’s drill, however, is mounted on the bed of his pickup, so he doesn’t have to worry about hauling a trailer. Aside from the ease of traveling to and from jobsites, the drill provides numerous benefits while on the job. Beyond speed, Hashem said the drill’s compact size and weight also set it apart from other drills on the market. Weighing in at 1,750 pounds, as opposed to anywhere from 2,175 to 9,400 pounds, means the drill can access areas larger models cannot. Frequent flooding in the Houston and surrounding area makes the truck-mounted drill rig’s light weight an important factor, as well. After a heavy rain, it takes a good amount of time for larger, heavier rigs to move onto a property without getting stuck in the mud. This significantly slows the project down. These features ensure Geo Enviro Drills stays productive each day. When it comes to boring, Hashem’s team is assigned jobs ranging from two to 40 holes as deep as 20 feet or more, and, fortunately, his rig can handle it all. In the Houston area, his team typically drills through sand and clay, which the drill handles extremely well with its 5,000-pounds of push-down and pull-back force. When working in other parts of Texas, Hashem’s team encounters harder soil conditions, but the drill doesn’t back down. Hashem simply switches to special drill bits designed by Little Beaver to cut through the tougher soils. 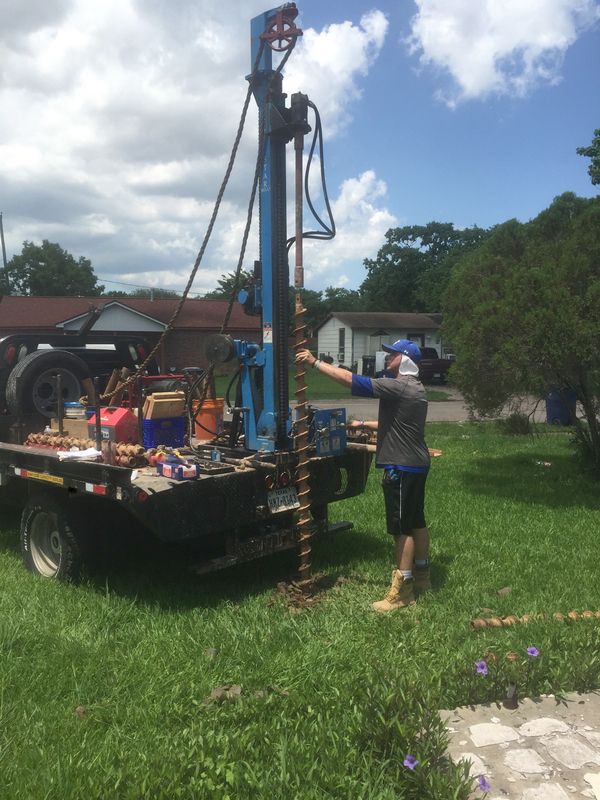 Hashem’s setup includes an auger for drilling 4-inch boreholes as well as a tower, cathead, 140-pound safety hammer and split-spoon sampler. The self-powered engine and robust hydraulic system ensure the rig powers through the toughest soil. That combination makes it easy for a team of two operators to arrive on site, drill to the desired depth, sample soil with a Shelby tube or insert the split spoon sampler into the boring hole, and then simply guide the drill rod back into the hole using a cathead pulley device. Hashem manually raises then drops the 140-pound safety hammer onto the sampler to get it to the desired depth. Although it involves more labor than an automatic hammer, Hashem says it’s a precise option and he always gets accurate blow counts every 6 inches, as well as an uncontaminated sample. Nevertheless, he’s considering trying the automatic hammer on Lone Star’s new LST1G+HDA when he purchases his next drill. The upgraded hammer requires less manual power and increases precision when inserting the sampler into the ground. Hashem and his team, which includes four operators who work on a rotational basis, spend a majority of their time pulling soil samples for new construction projects, including house pads, office buildings, subdivisions, shopping areas and roadways in southeastern Texas. With only one piece of equipment, Hashem needs it to be reliable and fully operational, otherwise business screeches to a standstill. Fortunately, when it comes to maintenance and durability, the drill is easy to fix, long-lasting and simple to operate. As with any equipment, it’s inevitable that parts will occasionally need replacement. Hashem finds that he can do most of the maintenance and part repairs on the job simply by keeping spare wear parts in his truck. That keeps his team from ever having much downtime. When Hashem does experience repair needs, Lone Star is there to help. Usually Hashem orders the replacement part, but if he has time he drives to Little Beaver’s headquarters in Livingston, about an hour from his house. Hashem also appreciates that the drill can be easily used by both experienced and novice operators, which makes it easy for him to train crew members. It also minimizes the risk of machine damage. For Hashem, who is looking to expand his business, the minimal time it takes to maintain the drill as well as train new operators is a huge advantage compared to other drills on the market. Hashem credits his success to the long hours spent in the beginning and, of course, his affordable truck-mounted LST1G+ drill from Lone Star Drills. His business venture has proven to be a financially smart decision. Just over a year and a half into his new venture, Hashem is already making plans to purchase another drill from Lone Star to continue growing his business. His clients have been extremely impressed with his soil samples and work ethic thus far and can provide more work for Geo Enviro Drill. But he isn’t stopping there. He sees the potential to expand with several drill rigs. After all, he knows the formula for success.